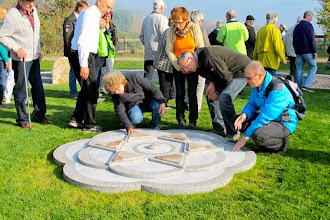 Nachlaot: Not JUST a Neighborhood - A State of Mind! 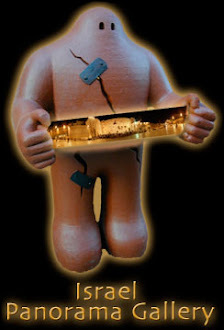 Streaming the best music, talk and Torah 24/6 from an undisclosed location, deep inside Nachlaot - Jerusalem's coolest neighborhood - to the World! Nachlaot is the Greenwich Village / Haight Ashbury of Jerusalem - rhymes with "rock the boat, skin the goat"
As Aretha Sang: "Who's Zoomin' Who?" 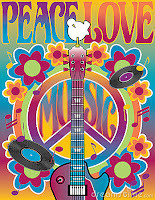 WOODSTOCK - THE PRELUDE TO THE 3rd ANNUAL 9 DAYS OF JERRY ON RADIO FREE NACHLAOT! THANK G*D the nine days of mourning (the end of the Three Weeks and capped off by the fast of Tisha b'Av, which ends at 8:07pm Jerusalem time tonight) are OVER!!! Join us to celebrate the return of music and with it, a second chance to go deeper, fly further and be truer and better than we were before. 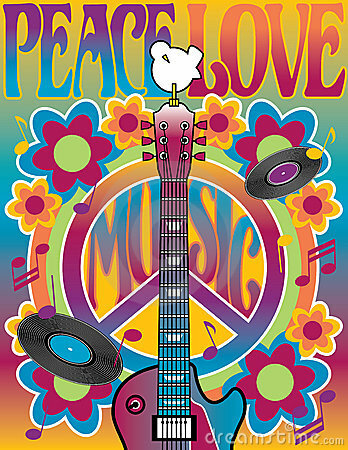 We're playing WOODSTOCK - yes the ENTIRE soundtrack, starting about 9pm Israel time Sunday July 29th. THE 3RD ANNUAL 9 DAYS OF JERRY!!! 9 Days (excluding Shabbos, of course) of an all-Jerry, all-the-time musical tribute to Jerry Garcia. Don't forget - DAY TWO of The 9 Days of Jerry will feature a LIVE BROADCAST from the JERUSALEM WOODSTOCK REVIVAL IV at Kraft Stadium in Jerusalem, starting about 6pm Israel time. Radio Free Nachlaot's own STEVE LEVINE will be playing Keyboards with Aryeh Naftali and The Elevators as they cover the GRATEFUL DEAD! Steve and Lorelai are basically flabbergasted that it's the 3 weeks *AGAIN*, followed by the 9 days *AGAIN* and finally topped off, *AGAIN* by Tisha b'Av. We're really over mourning for the Temple and we're mourning for all the reasons why Am Yisrael isn't building the Temple yet - and all of those reasons are located deep within our own selves, inside our own psyches, our own emotional and cultural and visceral and plain old gashmius selves that resists letting go of comfort and complacency. It isn't about our "enemies." It's about OURSELVES. But tell me, where do the children play?" This video by our very own beloved Rabbi Chaim Richman of The Temple Institute answers that question. At the Holy Temple, of course! As for us, we're missing music. 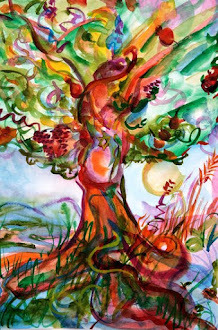 It should only be that all of us should be singing with the voice and the soul and the words our Creator gave us as gifts - gifts to give back to Him in reflection of His generous and bountiful goodness to you for merely allowing you to exist, gifts to give our fellow humans that reflect their higher selves, and gifts to ourselves for the nourishment of our soul as we delight ourselves in music, rhythm and song - AT THE HOLY TEMPLE, it should be rebuilt speedily, preferably before Shabbos so we can extend Third Meal into the mega-celebration of all time on Har HaBayet. Let's go, yallah! If Moshiach doesn't come before Shabbos, we'll continue our all-Torah, all-Talk programming (sprinkled with A Capella songs of all different sorts) with Shiurim from Rabbi Chaim Richman, Rav Avraham Sutton, Rabbi David Aaron, Rabbi Benzion Eliyahu Lehrer, Rabbi Aaron Leibowitz, Rabbi Yacov Shapiro, Rav Betzalel Philip Edwards, Rabbi Chaim Clorfene, Rabbi Dror Moshe Casoutto, and more. We're also re-broadcasting compelling non-musical interviews we've done recently with renown vocal coach Miriam Jaskierowicz Arman, Aromatherapist Avraham Sand, the Diaspora Yeshiva's Rabbi Yitzchak Goldstein on the subject of Shita, reflections on Reb Shlomo by a world-wide host of chevre, and more. Shabbos is coming. Thank G*d.
Moetzi Shabbos it begins - our Tisha b'Av programming. Live from Undisclosed Studio A in VERY "Outer Nachlaot" - Tzfat. You can hang with us on the radio during Tisha b'Av, we'll be broadcasting an Eicha reading recorded at the Mayanot Shul in Jerusalem last year, followed by a whole lot of great Torah, followed by (at night when we throw the stream up to Undisclosed Studio B in Jerusalem) Woodstock - the entire soundtrack OR we'll meet you on Har HaBayet for a LIVE broadcast! Maybe I'll meet you on the run ..."
The 9 Days are Upon Us, Again ... But They'll Shortly be Followed by The 9 Days of Jerry! Rosh Chodesh Av starts around 8:30pm Israel time tonight (Thursday 19 July) and with it "The 9 Days," the last part of "The Three Weeks" during which multiple calamities happened to the Jewish People, culminating with the destruction of the First and Second Temples. 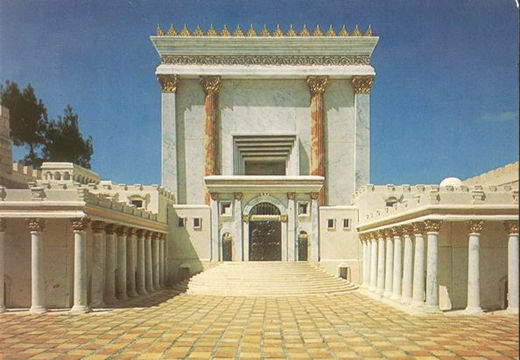 The 9 Days climaxes at Tisha b'Av (the 9th of Av) during which we fast and mourn for the destruction of the Temples and we pray (and plan) to build the 3rd Temple - it should happen speedily and in our day. Meanwhile, as is our minhag for the last three years, Radio Free Nachlaot switches to an all-Torah, all-Talk format during the 9 Days. We'll be bringing you the most thought-provoking Torah, the best of our archives and some a-Capella music now and then to break it up a bit. We've got a lot to talk about and we're really focused on everything having to do with the Holy Temple and all Temple-related programming. So stay with us here on Radio Free Nachlaot - because as soon as these 9 Days are over, the NEXT 9 days will be ... Radio Free Nachlaot's 3rd Annual 9 Days of Jerry (August 1st - 9th) and everybody knows those 9 days are the happiest 9 days of the year - at least until the Temple is rebuilt, and then we'll be celebrating instead of mourning during the 3 Weeks! ....and it feels like 103! 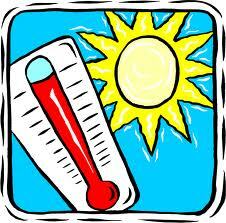 I actually checked a weather web site and found at 5:00 it was 92 degrees in Jerusalem, "feels like 103." Now, how does that John Fogerty song go? "....it's 110 in the sha-a-ade..."
So, what to do? I say, we stay "one with the heat!" One-ness, that's what it's all about, isn't it? And while we're doing that, what better way than to drink cold fluids (water is recommended!) and listen to Radio Free Nachlaot ... which you are probably doing while reading this blog-post...Well, don't change that dial!!!! 7:00 - Rabbi Chaim Richman and Yitzhak Reuven's "Temple Talk." 8:00 - "A Walk in the Garden" with Rav Dror Moshe Casuto and Yitzhak (Richard) Milman, discussing Rav Shalom Arush's sefer "The Garden of Peace." 9:00 - Radio With Rena - a relatively new weekly show - hosted by (literally) our Hostess, Rena! Stay Cool with the Coolest Internet Radio eminating from somewhere deep in the heart of Nachlaot! C Ya on the Radio! It's Tuesday and it's HOT!!! ...and boy do we have a "HOT" line-up for you tonight!!!! Benzion Eliyahu Lehrer 6:00 - 7:00 the "new Returning Light"
....and it's all coming to you from an undisclosed location deep in the heart of Nachlaot! C Ya on the Radio!!!! It's Wednesday, Won't you please join us for a "Walk in the Garden." Every Wednesday at 8:00 PM, we will join our friend Yitzhak (Richard) Millman and his Rebbe, Rabbi Dror Moshe Casoutto of the Chut Shel Chesed Yeshiva as they discuss Rav Shalom Arush's sefer, "The Garden of Peace." The Chut Shel Chesed Yeshiva is located at Rehov Shmuel HaNavi, #13, Jerusalem. We are all invited to come to the Yeshiva and sit and learn; attend a Shiur, even if just one time. For more information on Chut Shel Chesed Yeshiva email: Emunahchannel@gmail.com. 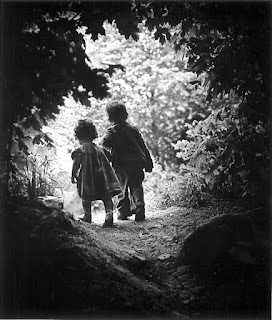 All episodes of "A Walk in the Garden" are available on the Walk in the Garden page on the Radio Free Nachlaot website. Don't miss these incredible conversations and teachings. They might even change your life! Our own, Rena Meriash-Levine takes to the radio playing her unique brand of music, salt and peppered with whatever else might be on her mind. Hey, she might even read to us!!! C Ya on the Radio. Tonight: LIVE from Food Camp with Benzion & Friends, Plus: MAYA'S BACK! 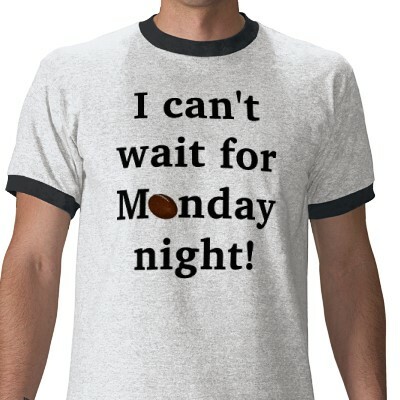 It's Monday and we've got a special evening of programming for you on Radio Free Nachlaot! At 6pm Israel time (8am LA/9am Denver/10am Texas/11am NY) Benzion Eliyahu Lehrer's Interactive Health Question and Answer Show will be live from Food Camp in Tzfat! Lorelai and Benzion are hosting eight lucky Food Campers at their Returning Light Healing Center in Tzfat, and tonight's show will, as always, be taking your questions about health, healing, nutrition and wholeness LIVE from Food Camp! Ask your questions on RFN's Facebook page or on Benzion or Lorelai's individual FB pages. Then at 7pm Israel time, Brian Blum brings us BRAINWAVES, and at 9pm Israel time... Maya is BAAAAAAAAAAAAAAACK!!! Back from Europe where she saw Pearl Jam not once but twice (or more, who knows if she got in a third show - we'll find out tonight during her show)! Tales of the Tour from Maya, Brainwaves from Brian and "Interactive Health Question and Answer Show" live from Food Camp in Tzfat with Rabbi Benzion Eliyahu Lehrer - all tonight on Radio Free Nachlaot! We are Fasting, Praying, and Crying, not about what don't have, but about what we're not doing to have what we should have. We're playing some Jazz, and singing the blues all day, with Torah Lectures about the 17th of Tammuz and the "Three Weeks" on the hour, all afternoon, beginning at 1:00 PM. Be reflective, be thoughtful, be connected to why we're not eating or drinking -- otherwise, dare I say, we might as well have some water and go to lunch!!! Have a meaningful day, everybody. HAPPY 236th BIRTHDAY, UNITED STATES OF AMERICA! You don't look a day over 200 - how do you stay so young and fresh-looking? Gevaldt, you must have great DNA! If you've got the "U.S. Blues" today, don't feel too bad - Radio Free Nachlaot hasn't forgotten you! There's a large American expatriate community right here in Israel who enjoy getting together for beach, BBQ and other American-type activities on the 4th of July. Some of us just like to listen to some really good American-style music. 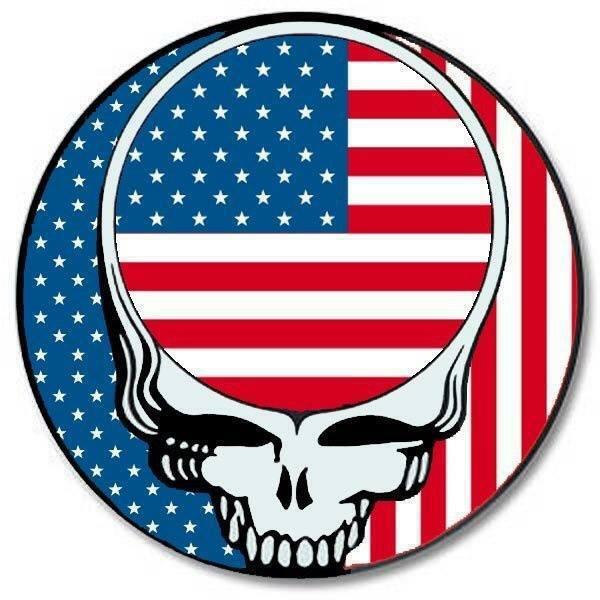 Whatever rocks your boat - have a happy birthday, USA - we'll be bringing you some real live American Tunes during the 4th of July to help you "wave that flag, wave it wide and high!" 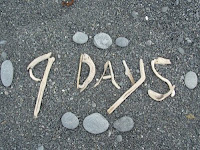 RFN's 3rd Annual 9 DAYS OF JERRY is Only One Month Away! Gevaldt! 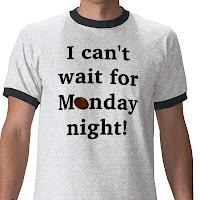 It's coming around again - it's that time of year again, it's only one month away! 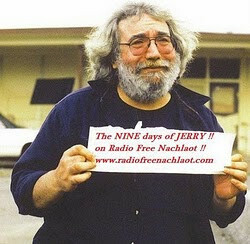 Radio Free Nachlaot's 3rd Annual 9 DAYS OF JERRY starts on August 1st and runs through August 9th, celebrating the nine "days between" Jerry Garcia's birthday and the anniversary of his death. As per our minhag (and now that this is the third year in a row, it's becoming a "Chazaka" which by halacha means we can never change it!) we'll be bringing you a 9-day Internet Radio music festival celebrating the life, music and legacy of Jerry Garcia! 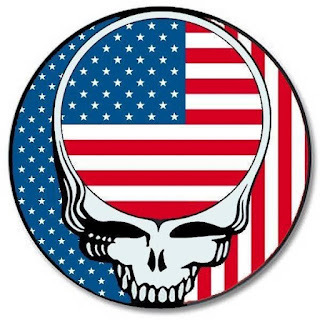 We'll be playing all Jerry Garcia's music - from his early days (Jerry and Sarah, Black Mountain Boys) to the entire panoply of the Grateful Dead's 3 decades plus Jerry's solo career, "Sons of Jerry" and bands such as Phish and Further that were spawned from Jerry's influence. AUGUST 1ST - AUGUST 9TH ALL DAY EVERY DAY EXCEPT FOR SHABBOS!!! Remember: You can DEADICATE a show to the one you love during The 9 Days of Jerry! Send us the show date and location (for instance: Winterland, New Year's Eve 1977) and the "Deadication" ("To my husband whom I met in line waiting for tickets" - or whatever!) to: radiofreenachlaot@gmail.com we're asking for a donation for "DEADICATIONS" because this is one of only two fundraisers we do all year long (the other one is our birthday on Rosh Chodesh Kislev) and we're listener-supported radio, so you make a donation and a Deadication & everyone is happy! 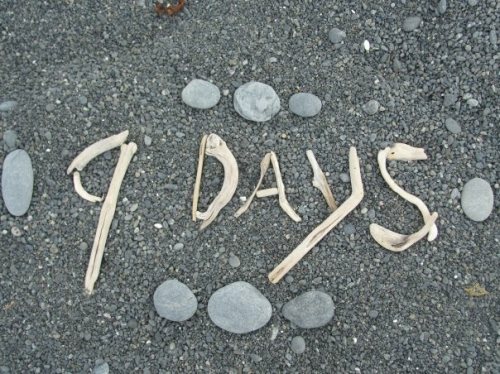 The countdown to the 3rd Annual 9 DAYS OF JERRY has begun! Clear your calenders, this is the best time of year for Jerry lovers! Donate to Radio Free Nachlaot! 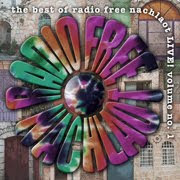 Radio Free Nachlaot Isn't FREE! If You Like What We're Doing, Throw Some Change in the Guitar Case, Man! Free Download with Any Donation to Radio Free Nachlaot! 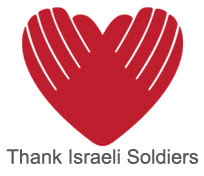 Free Download with any DONATION via PayPal to Radio Free Nachlaot! Sign Up for Radio Free Nachlaot's Weekly Newsletter! We Promise NOT to Nudnik you! The 9 DAYS OF JERRY on Radio Free Nachlaot!